A Supreme Court Constitutional bench comprising of Chief Justice R.M. Lodha, Justice J.S. Khehar, Justice J. Chelameswar, Justice A.K. Sikri and Justice R.F. 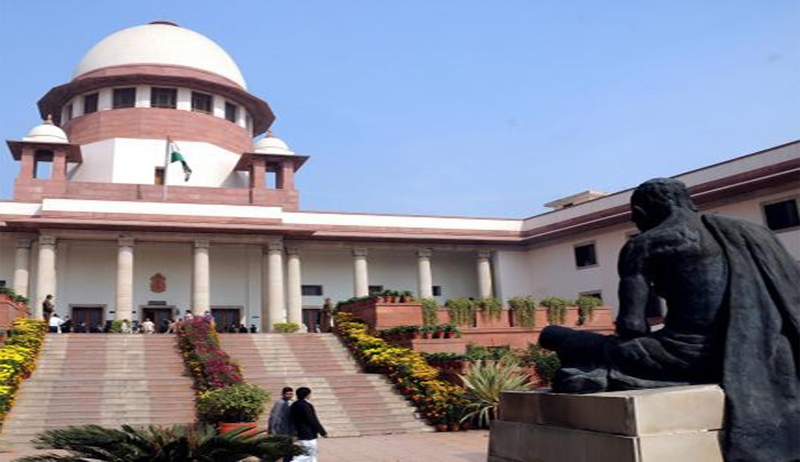 Nariman today observed that the Government has strived to create a parallel justice delivery mechanism in tribunals. However, the difficulty lies in finding the right judicial person for tribunals dealing with specific areas of laws. CJI Lodha reportedly referred to the difficulty that he personally faced in finding a suitable nominee for the Securities Appellate Tribunal. He got vocal about four requests received in the last four days for the appointment of four judicial members on various tribunals, chiding those who make undesirable remarks, without dwelling into the intricacies of the situation. The CJI observed that the appointments have been scaling down from Supreme Court judges, to Chief Justices of the High Court, to Judges of the High Court, leaving it with a majority of administrative people now. Even when a sitting judge accepts the assignment to preside on a tribunal, he starts the task only after retiring. The Bench noted that the retirement age for presiding on a tribunal is 68 years, observing that a High Court judge who retired three years back is not concerned in taking up a tribunal's responsibilities, and is interested in arbitration as it comes with a "tonic". The Court was hearing a batch of petitions which challenged the validity of the tribunals, which were submitted to be against the Constitutional framework, prescribing separation of powers. It contended that they were parallel to and outside the country’s justice delivery mechanism. Appearing for the petitioners, senior counsel Arvind Datar said that the "obnoxious objective" of setting up tribunals was to create a parallel system outside the Constitutionally prescribed justice delivery system starting from the apex court, followed by High Court and then lower courts. Datar submitted that such panels determining a substantial question of law were under the union law ministry. While Attorney General Mukul Rohatgi defended the creation of tribunals, stating that these Tribunals do not eclipse the powers of the High Courts under Article 226 of the Constitution of India, the Court observed, "What are you achieving ultimately? You are making a mockery of the procedure." Rohatgi argued that the Tribunals would decide all questions, except the validity of the statute under which they were created. The Court in response questioned, "How can a tribunal, a forum which is not a judicial court, be conferred with exclusive powers to decide the substantial question of law?" Rohatgi further argued, "All the tribunals are courts but not vice-versa as courts have plenary powers," to which the Bench further questioned, “what is the value of their order? Are they binding?" A High Court's orders are valid in the state of its jurisdiction, and the Supreme Court orders are valid all over the country. The Court considered him factually correct when he stated that the idea of creating tribunals was to unclog the High Courts of the backlog of the cases. The Bench sought to know who was responsible. Tribunals function differently from courts, from the manner of appointment to the procedure followed, yet they seek to achieve the same objective as that of courts, i.e. to deliver justice. The number of tribunals has been increasing after 1947,especially after the 42nd Amendment Act of 1976, which provided for the insertion of Article 323-A and Article 323-B. As Article 323-A and Section 28 of the Administrative Tribunals Act provided for excluding the jurisdiction of all courts except the jurisdiction of the Supreme Court under Art. 136, the judgment of the five judge Bench of the Supreme Court in S.P.Sampath Kumar v. Union of India flagged off the debate in this area. Almost a decade later, in L.Chandrakumar v. Union of India, a seven judge Bench of the Supreme Court overruled Sampath Kumar on the point of the power of judicial review of the High Courts and it still continues to be good law. In this case, the Supreme Court, overruling to Sampath Kumar, held that these tribunals cannot bypass the High Courts. It further declared that the decisions of such tribunals shall be appealable before a Bench of two Judges in the High Court under whose jurisdiction the tribunal falls. Despite three landmark judgments, there are a lot of unresolved issues regarding the tribunal system in India. For example, the tribunals was established and included within the justice delivery mechanism, in order to speed up the mechanism. However, if the decisions of the tribunals were subject to judicial review, the High Court would have to hear those cases again and hence it would lengthen the judicial process. The independence of the tribunals is under question as administrative or technical members are in most instances, appointed by the Executiveand many tribunals consist of members from the Executive. This was the problem being addressed by the Bench when it observed the lack of adequate manpower. Increasing tribunalization is problematic as there is no consistency in administration among the tribunalsand the functioning of most of the tribunals is in a very bad state. The Law Commission of India had also suggested in its 215th report that L. Chandra Kumar be revisited by a larger Bench of the apex court. The instant case before the Constitutional Bench might provide answer some unanswered questions.